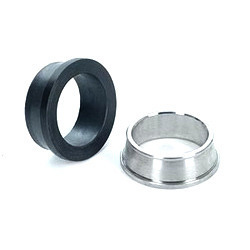 We are a leading Manufacturer of bearing races from Thane, India. We hold proficiency in providing our customers large assortment of Bearing Races. This range is widely demanded by our valuable clients in steel plants. These are designed and developed using superior quality basic materials and advanced technology in order to meet the industry quality standards. Our assortment has gained a lot of appreciation from our clients owing to its outstanding performance, durability and dependability. Furthermore, this bearing race is available for our esteemed customers' at the most affordable rates.